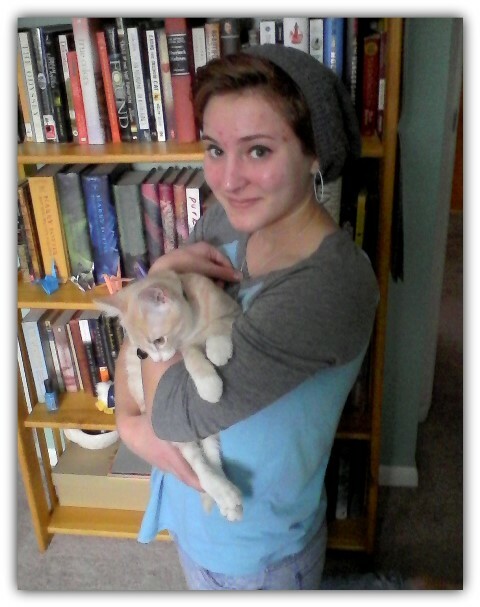 The newest addition to my family was my kitten named Parker. 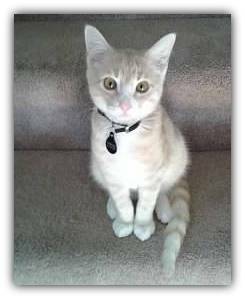 Like every other kitten, he is playful, loving, and a little bit feisty. There are plenty of scratches on my hand and our furniture to prove that Parker is putting his claws to use. He's reached an age now where he is able to get declawed. When I first got him, declawing just seemed like part of the process of owning a new cat. As time brought us closer to this possibility, I began to question whether or not this was the right decision. I hardly even knew what it really meant to declaw a cat. I decided to research it before making a final decision, and this is what I found. Declawing is not a small surgery. Veterinarians don't always explain the severity of the surgery. Christianne Schelling, a licensed vet, explains what declawing really entails. She says that the surgery is more of an amputation of the final joint in a cat's paw. Declawing is a major surgery that will alter your cat's paws for the rest of its life. Some of the reasons against declawing are because it's believed cats will will develop behavioral problems. One of the problems noted is they no longer use a litter box. The reason behind this is that it becomes too painful for a cat to dig in their litter, so they find a bathroom elsewhere in the house. Another behavioral problem is increased aggression. The cat's aggression is caused by a two things: continued pain and lose of defense. Pain for a cat continues even after they recover from their surgery. The nail of a cat can grow back inside of their paw, causing them to be in extreme pain. They also lose their natural defense mechanism, making them more likely to bite and lash out. Declawing does not just effect your cat's claws. It also effects the way they walk. Cats have to relearn how to walk without their claws. This can cause them to put extra pressure on their heels to stay off of the tender part of their paws. Doing this can lead to the cat developing arthritis in the back, wrist, and leg joints. Healing up after surgery. For photos of how a cat is declawed, click on the image above. During my research, many of the articles mentioned that declawing was mostly an American tradition. In a documentary called The Paw Project, interviewers asked people from many different countries their opinions on declawing cats. Most said that it was inhumane and even illegal in their country. The countries that ban cat declawing include Australia, Greece, France, Britain, India, Israel, and many others. In total, 30 countries across the globe made declawing cats illegal. After all of my research, I have decided to not declaw my kitten or any other cats that I may own in the future. Some alternatives to declawing are scratching posts. My family put one in place of a piece of furniture that my cat was destroying, and now we have no problems with his claws at all. Most animal rights organizations say that declawing is inhumane and cruel. The organizations that don't think that are only looking out for the financial benefit of the vet, not your kitten. Before you decide to declaw your cat, make sure that you do your research. The Paw Project. Dir. Jennifer Conrad. 2013. Film. Is There Such a Thing as Humanely Killing? the industry would stop, for nobody would be able to stand it." Every country has its traditions. Some are strange by today's standards. And some are fascinating, while others are abhorrent. So what what happens when an ancient traditional practice is now looked at as inhumane? Do we, as a society, intervene? Take for example, the ways marine animals are killed. Do we allow the inhumane slaughter of marine life to continue because it's part of tradition? In Sicily, an island off the end of Italy, they have a centuries old tradition of killing tuna. The tonnarotti (tuna fisherman) first capture tuna in large nets and herd them to a holding bay. Some tuna will be harpooned and lifted ashore. Others are killed by spear yielding divers. And finally, others take aim with guns. I'd say this is coming as close as it gets to literally shooting fish in a barrel. Killing seems more for pleasure than for practical purposes, however, tuna are dying in record numbers to meet the nearly insatiable demand for their meat. It's argued that stunning fish before bleeding them out is more 'humane' than shooting them. Shooting does not always instantly kill. With the fish flailing about, scared in the small, confined quarters, the shots penetrate another part of the poor creature’s body, only causing severe stress and painful injury before imminent death. Others argue, when done right, with a one kill shot to the head, it is more humane than spearing. Baby seals are another target for these inhumane killings. Hunters go after them for their soft white coat. Their methods to kill the animal are similar to those with the fish; stun the animal with a blow to the head before bleeding them. This is considered the humane way to go about hunting seals. Unfortunately, hunters are not always that accurate. Seals are hit multiple times, causing them great pain. Some hunters will try to go after more than one seal at once, often causing the blows to be inaccurate and painful. Many people have heard about the Japanese whaling industry, partly because of the enormous, if not atrocious, numbers of whales that are being slaughtered. Whaling is still being conducted in Japan for what they claim to be scientific research. Is this research worth it though when it takes some whales up to an hour to finally die? Some can even continue to live after being painfully harpooned. An article from BBC News admitted, "The gunners themselves admit that if whales could scream the industry would stop, for nobody would be able to stand it." Some would say there are humane methods for killing animals. Certainly, there are less painful ways for animals to be killed. But what is the definition of humane? What makes a kill humane? The method? The number that die? The reasons for killing? The answers to those questions will be explored in future articles. Until then, I leave you to think about this. Whether killing is done in the name of tradition, industry, or science, shouldn't we always consider the animal’s suffering above all else in the process? Can Canned Hunting Even Be Called Hunting? in killing we set back the progress of humanity." 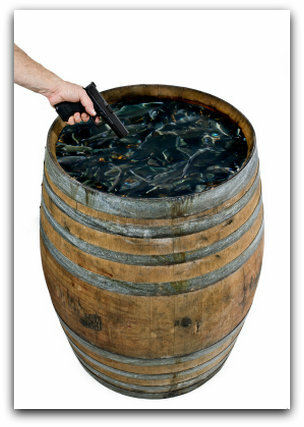 Everyone has heard the expression "like shooting fish in a barrel." It's used humorously when a task seems to be almost too easy. Have you ever thought about when that expression becomes truth? Canned hunting is a growing business in Africa that provides an easy way for trophy-hunters to slaughter hundreds of animals every year. Most people don't know about this practice, myself included. Upon researching further into it, my heart was broken for the terrible acts that are committed against some of the most docile creatures. Canned hunting is much like farming, but with exotic animals. 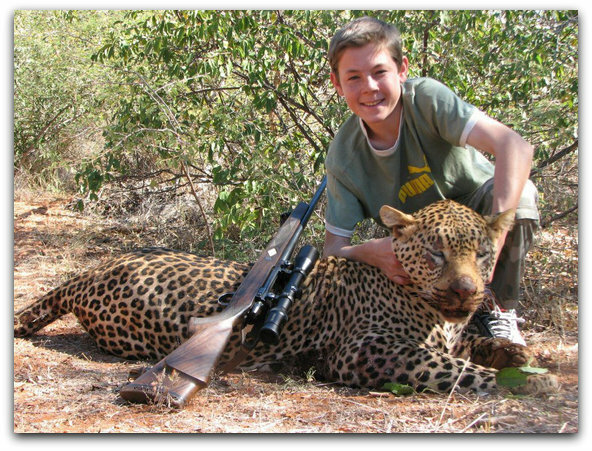 They are raised on a large ranch where trophy and big game hunters go. 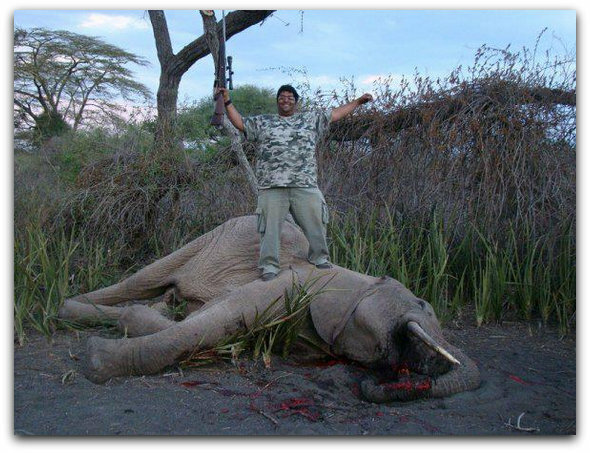 These hunters will pay money to go and shoot the animal of their choice with a weapon of their choice. A certain African canned hunting site lists the prices of different animals for 2015. The rarer the animal, the higher priced it is. While digging around on other sites, I've found that 8 of the animals listed on their site are on the endangered list. Elephants, crocodiles, hippopotamuses, and lions are the most hunted, yet they are all on the endangered species list. Lions are the animal that most hunters look for. The ranches out in Africa have a certain routine to keep population up for rich trophy hunters. Their method involves separating the lion cubs from their mother's at birth. Most ranchers will tell people they do this because the mother had no milk to supply the cubs, though this is never the case. The separation of cubs is so that the mother lion will become fertile again in a quicker period of time. Some lionesses will have 5 liters of cubs in the span of 2 years. The saddest part of all of this information is that the practice is still legal. Even in the US there are states that allow these hunts to continue. An example would be, Matthew McConaughey's canned hunting ranch in Mertzon, Texas. This is a ranch of canned deer hunting, and though McConaughey has not been an owner of the ranch since 2011, it is still running today. Many people and organizations are against this practice, but the hunters think that they are doing everyone a service. In an interview by Marta Ariza with a professional game hunter, he explains their viewpoint. He says that without hunters, the population of these animals would grow to a point where they would be damaging the vegetation. The hunter also said that canned hunting is such a large industry that without it there would be hundreds of jobs lost in Africa. Canned hunting is a way that people make their livelihood, but at what cost? If the price of wealth is the head of an endangered animal, is it worth it? As a lover of both nature and wild animals, I would hope that there could be a better solution to preserving vegetation and the people's economic status. Maybe instead of just having hope, though, we should go out and change the world that we live in. fences on four sides, something to feel proud about? How is killing an animal fun? My name is Sara Jane. I'm 17 years old and a Junior in highschool. I have a kitten named Parker and a golden retriever named Murphy. Cats are by far my favorite animal and I love helping them in animal shelters. I have a passion for writing and plan on majoring in journalism when I go to college.